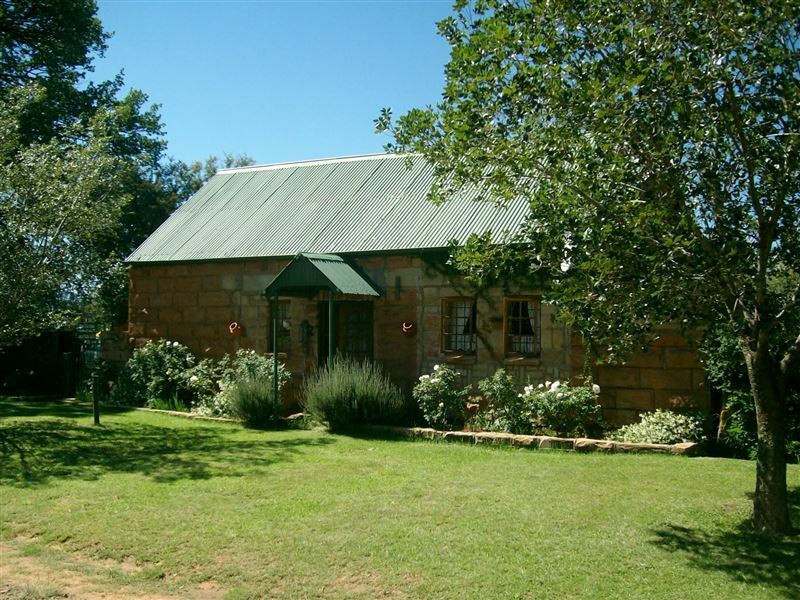 Die Ou Stal Cottage and Stoepkamer is a sandstone cottage located in the small town of Fouriesburg, which is surrounded by the glorious Maluti Mountains, and offers guests a comfortable self-catering stay.<br /><br />Set in lovely gardens, the cottage used to be stables of the old pastorie and has since been renovated. 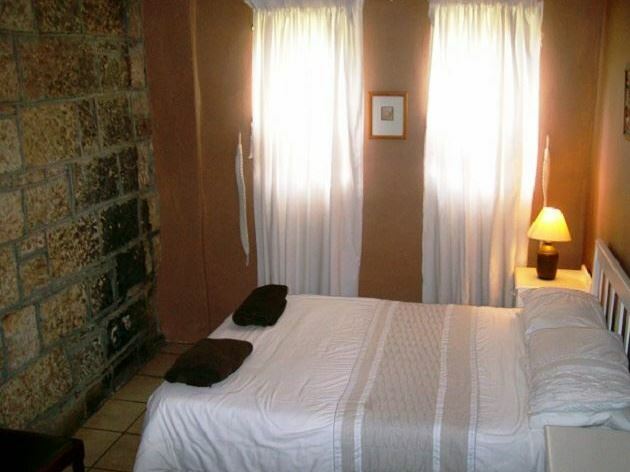 The bedroom is furnished with a double bed and has a private bathroom with a shower only. 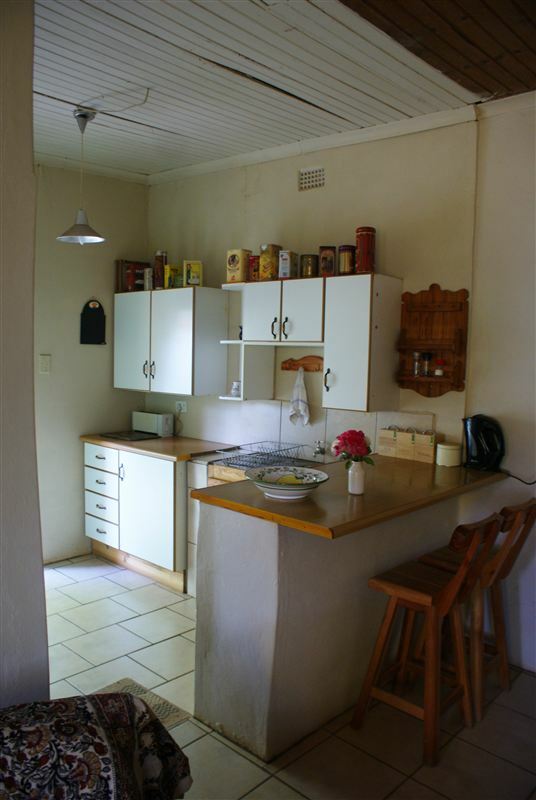 The kitchen is fully equipped for self-catering and guests can relax in the comfortable lounge which is furnished with a sleeper couch and a single bed for children. 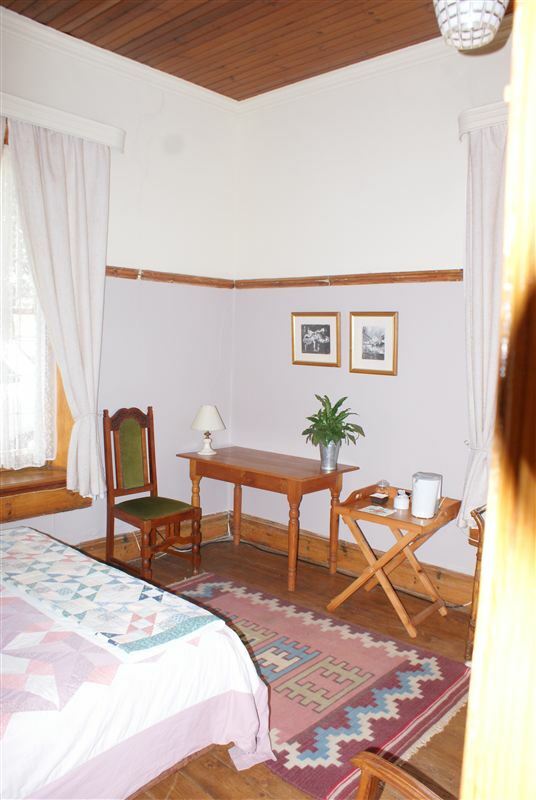 <br /><br />For an extra room, the pastors former office on the stoep of the pastorie has been furnished with a double bed and has an en-suite bathroom with a shower only. 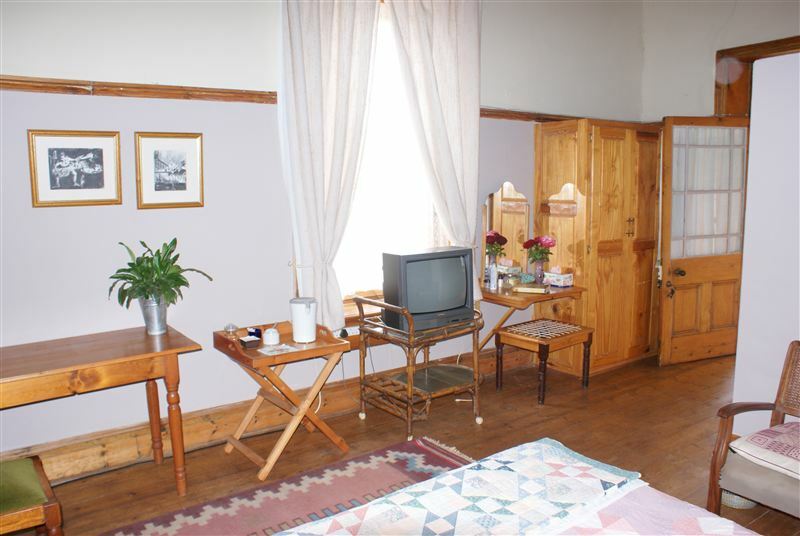 The room has a TV and is situated 10 m from the Ou Stal. A breakfast basket is available on request at an additional cost and braai facilities as well as secure off-street parking is available.<br /><br />The Boesmanskrans hiking trail is one of several beautiful trails in and around Fouriesburg, while Meiringskloof is a beautiful little nature reserve quite close to Fouriesburg which offers some pretty picnic spots and is also the departure point for the Brandwater hiking trail.<br /><br />Please note that breakfast is available on request at an extra cost for R40 per person. 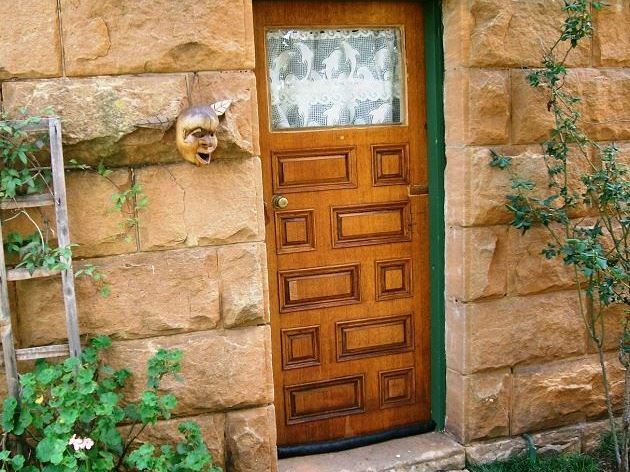 "Loved the quaint little place and the friendliness. From Judith the owner, to Martin the friendly, helpful gardener. You both made our stay fantastic and blessed. Thank you"
"Neat and clean, welcomed by owner, pleasant stay.Will most definetly stay there again." "Warm welcome. Accomodative hosts. Rooms clean and comfortable. Arrived in the dark and leaving early. Will stay again on our return journey. Thank you Judy." "All in all, our stay was very mediocre. It lacks any specific style and is rather boring. The stoepkamer houses hundred&apos;s of books, which in turn carries years of smoke in them... and by the collection of books, the owners are discerning readers, which makes it difficult to understand why the bedside lamps are the cheapest and smallest they could get.. No teaspoons.. bathroom needs a good scrubb down, and... argghh.. enough. Please just jack the place up.. it has so much potential." "Fair but don&apos;t expect to get all that is advertised"
"Judi was a fantastic host, the rooms where clean and equipped with everything needed. Our stay was short but so enjoyable. The background about the beautiful house was also so interesting, we will defiantly be back.Thank you for having us!" "Eienaar het baie moeite gedoen. Pragtige sandklip geboude huis met ruim vertrekke." 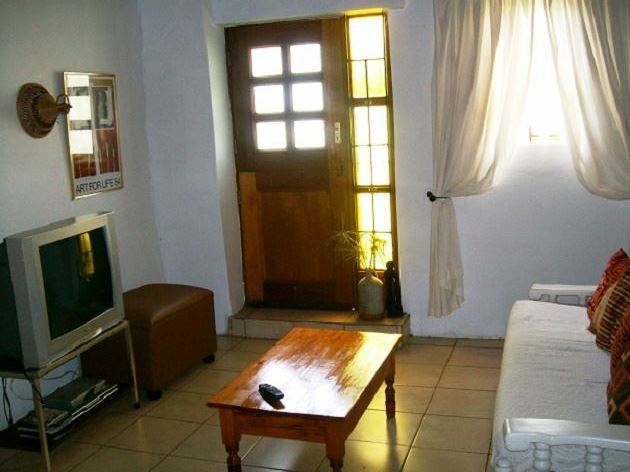 "Great location and lovely garden"
"Great location and lovely gardens for this self catering cottage in the centre of Fouriesburg.Made to feel very welcome and nothing was too much trouble to ensure a perfect stay. Very spacious and comfortable." "We had a wonderful experience, a quiet stay and rested very well, thank you. Their hospitality and advising where we had to go will be memorable to us. We have photos of experiencing the wilds and nature that we never thought we will ever see. Their staff were very helpful and super friendly we will definitely recommend them for anyone wanting a quiet, relaxing stay. We will be going back next year - hopefully we&apos;ll be lucky to experience the snow. 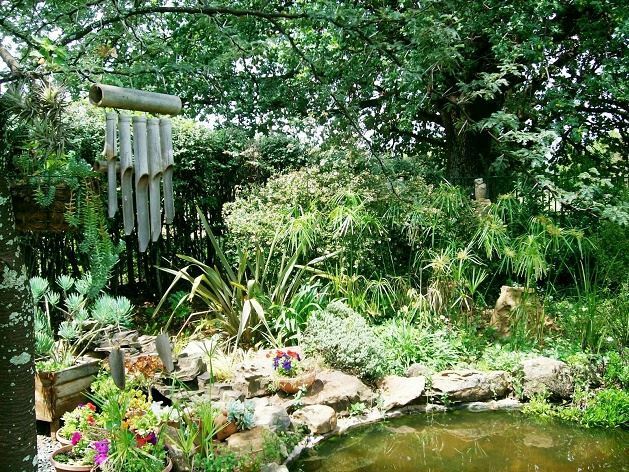 We have the nicest pictures - we never thought that such a small place could have so much on offer." 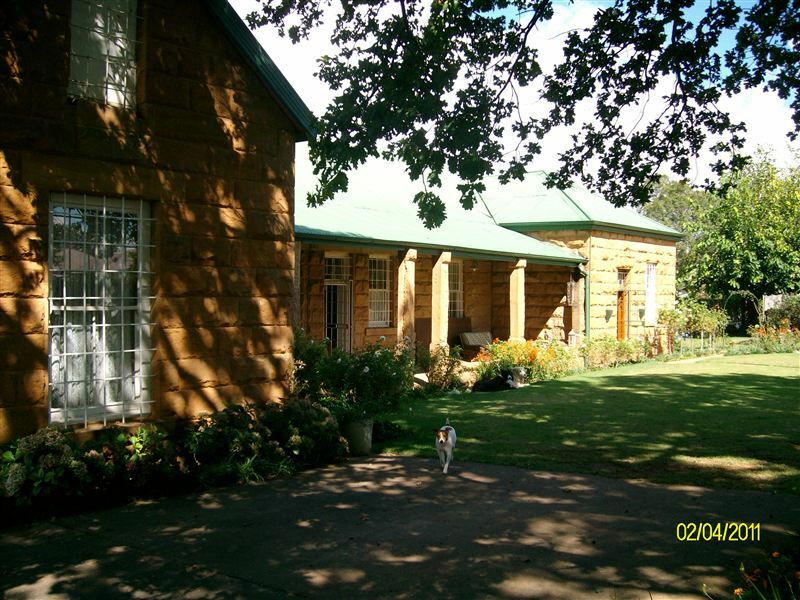 "Ons het heerlik as gesin by Judy en Mick tuisgegaan in koue Fouriesburg. Ons is gasvry ontvang, warm geslaap en gerieflik gebly. Dankie ook aan Martin wat orals gehelp het."